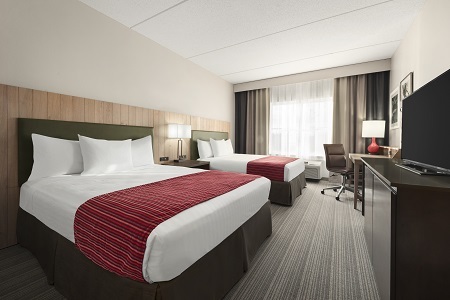 Catch the complimentary airport shuttle to the Country Inn & Suites® by Radisson, Duluth North, MN, a pet-friendly hotel where you and your family can enjoy an indoor waterslide, free Wi-Fi and proximity to Lake Superior. 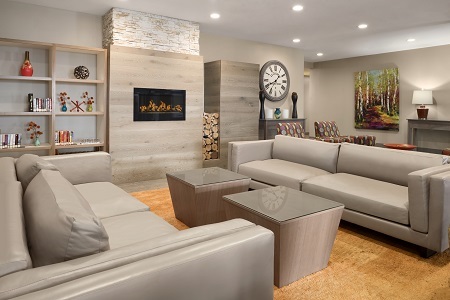 After a day of excitement at Canal Park or Spirit Mountain, heat up some snacks in your room, grab a cold beverage from the in-room fridge and unwind in front of the cable TV. When you wake up, we’ll help you start the morning right with a full array of hearty favorites at our free, hot breakfast. 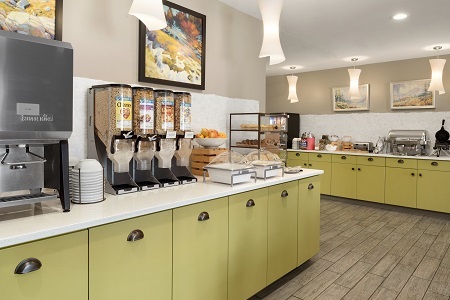 Begin your day with Belgian waffles, fresh fruit, homemade oatmeal and hot entrees at our complimentary breakfast. A hot cup of coffee and a free weekday newspaper let you relax before setting out to see Duluth. For lunch or dinner, order a mouthwatering steak at Outback Steakhouse, located right next door, or check out area restaurants like Grandma’s Saloon & Grill and Grizzly’s. Canal Park – Head to Canal Park to indulge in a delectable meal at one of the on-site restaurants, go shopping in its eclectic stores or explore its aquarium. The park offers galleries, major landmarks and indoor adventures for all ages just 15 minutes east of the hotel. Lake Superior Maritime Visitor Center – See and hear the stories of shipwrecks, bridges and local legends, all just a 15-minute drive toward Lake Superior. Browse the museum's art collection, and then stop by the gift shop to find a distinctive trinket to take home. Miller Hill Mall – From our hotel, take US-53 S for just over a mile to find great deals on top brands in more than 100 stores at this regional shopping hub. You can take a break at Barnes & Noble or grab a burger at Five Guys while you’re there. Host business gatherings and special events for up to 100 guests at our on-site meeting facility. 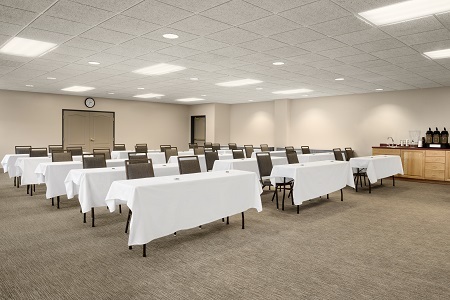 Reserve our 900-square-foot conference room and enjoy amenities like free high-speed Internet, audiovisual services, and complimentary water and coffee upon request. Our helpful staff is also happy to assist with catering recommendations and planning.